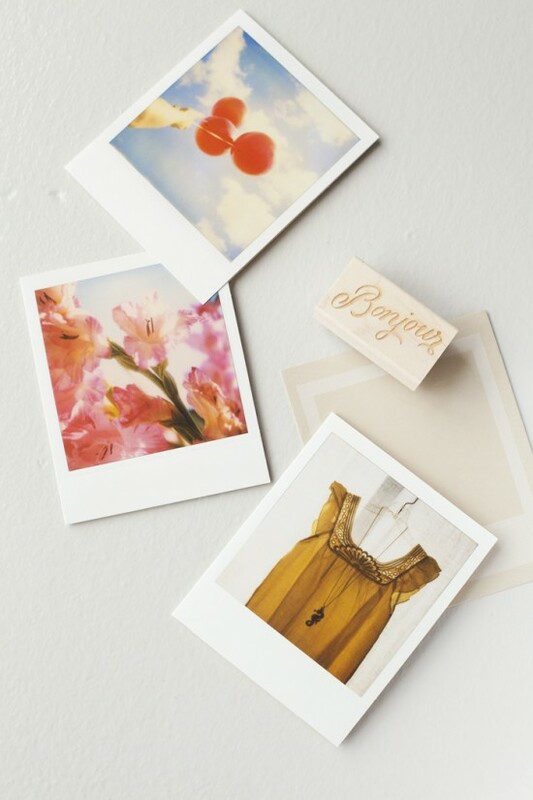 blogshop recently took a little trip to dallas, and well, we like the way they do things down there! 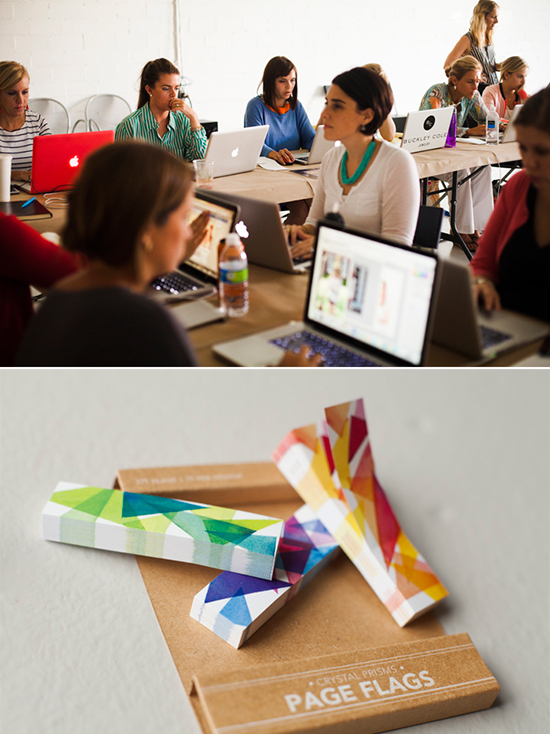 from our awesome space, to the gorgeous decor and delicious food, not to mention a batch of students who were stoked to learn some photoshop, this session was all aces. 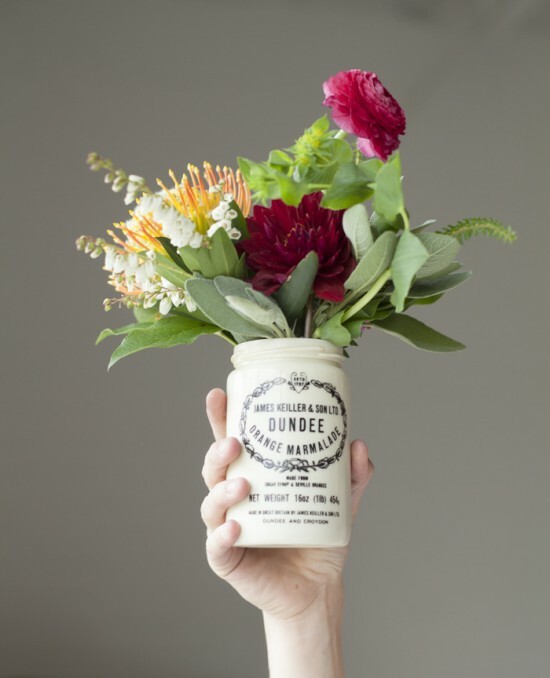 alicia and adam of bows and arrows created these unreal floral arrangements—again, not getting married just yet but they REALLY have me thinking bouquet! the girls at cheerfully charmed sent over these bright bubble necklaces that can really punch up any outfit. how great is this turquoise over stripes? you know we’re all about fun office accessories over here, so when we sat these prism page flags by girl of all work we knew they’d be perfect for marking important stuff. the students also got these little limited-edition art prints from our friends over at minted, perfect for hanging at the office or on an inspiration wall. many notes were taken on our custom pinhole press notepads, which are unique to every city. kind of like a little collectible trading card, but full of ideas! how can we not have something gold in here, right? 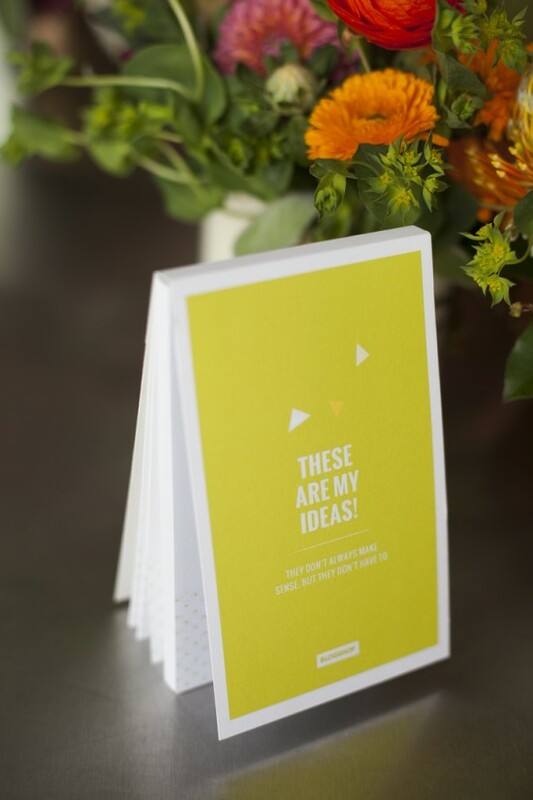 these sweet gold-foiled thank you cards by pei design will be available soon on her online shop, and are a great way to give a (beautiful) shout-out to someone who helped you out. and just check out her dotted pencils too! clearly we couldn’t wait to take a bite of these adorable sugar cookies from manjar. they are so good at making bright fun camera cookies and can even make your instagrams into custom treats! we also included these shea butter soaps. 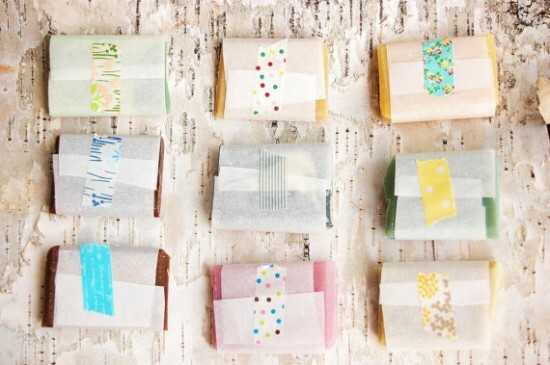 these little washi-taped mini-bars are handmade from soulsister soaps. 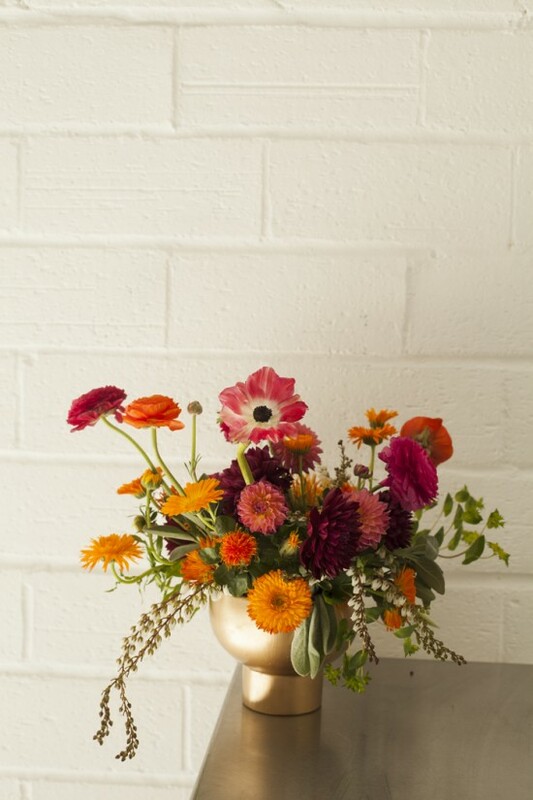 can’t get enough of these floral arrangements! want to be a part of the fun? 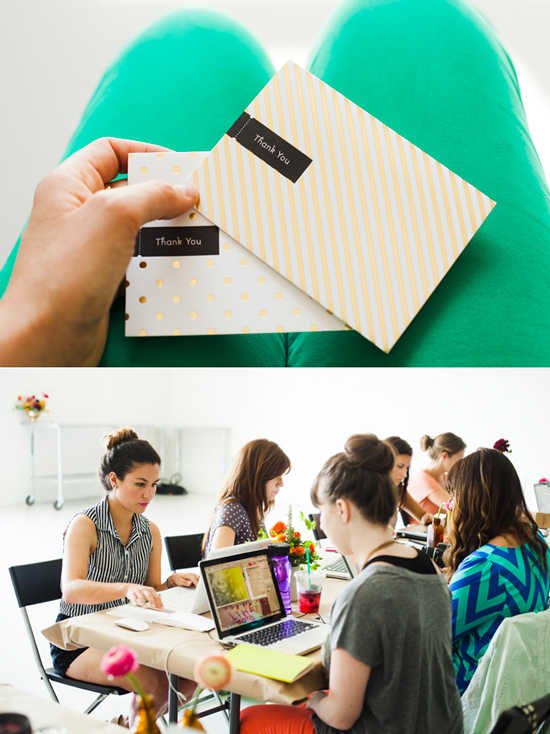 we’d love to see you at one of our upcoming blogshop classes! we have a bunch of recently announced destinations, so snag your spot here! OH! and thank you rewardstyle for partnering up with us this time and throwing us a little cocktail party after class! Looks like it was a fun & successful event once again! 🙂 I might be able to swing the Sydney, Australia blogshop…. my bf is from there and we had talked about going back around then. That would be so fun! This is awesome! 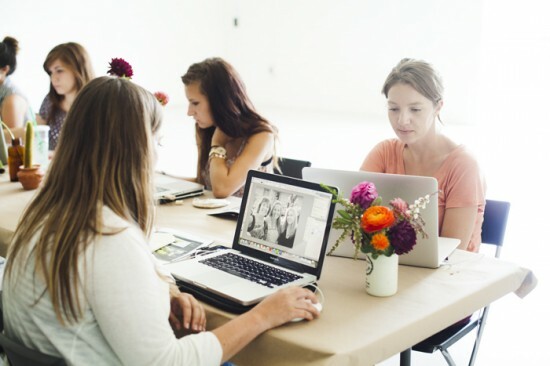 I am going to look into this…learning with fab bloggers! SO fun! Those floral arrangements by bows and arrows are spectacular. So exciting. I really love seeing how the vibe for every blogshop varies by location! 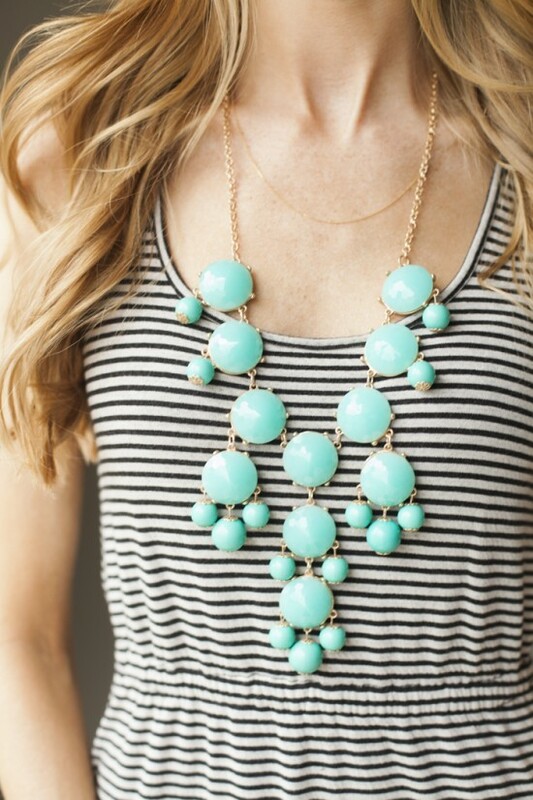 I’m so in love with that necklace-it reminds me of the baubles over at J.Crew for a much more affordable price! So bold and fun. obsessed with everything keri smith! living out loud always picks me up when i’m having a creativity block. 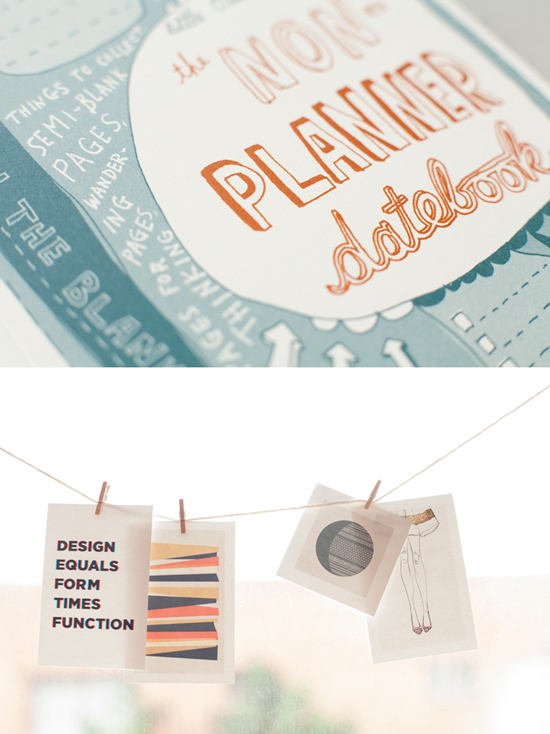 i haven’t seen the non-planner datebook yet but am always looking for something to keep track of all my craziness! looks like another amazing blogshop. you guys are wonderful. 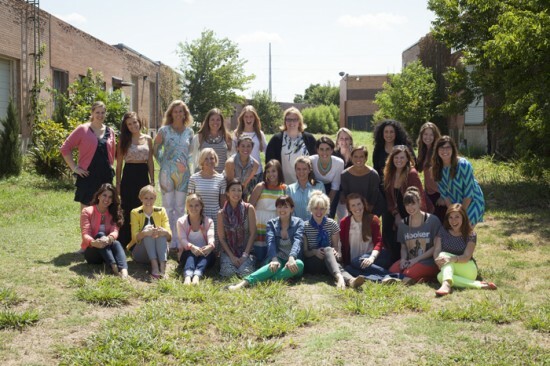 I am totally sad that I missed the dallas blogshop. Now I need to stalk the other ones to see if I can get a ticket. Are you teaching a class outside of the IFB conference in NYC?? probably the cutest flowers in the entire world! It was amazing, thank you! !